Today we honour and remember Pro Hart, and the incredible contributions he made to Australian culture throughout his lifetime. 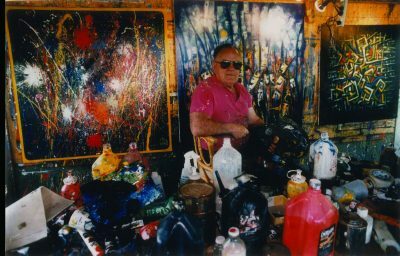 The 28th of March marks the 13th year since his untimely death from Motor Neurone Disease, yet his work continues to inspire and heavily influence the art world. 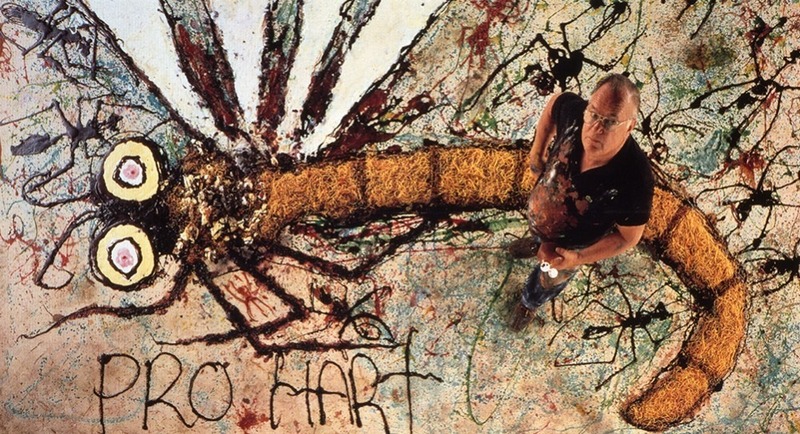 Pro Hart is arguably one of Australia’s most renowned visual artists, whose work frequently depicted scenes from the Australian outback town, Broken Hill, where he spent most of his life. It was drawing from his experiences here, that led him to be given the esteemed title: Father of the Australian Outback Movement. As his popularity soared, he made sure that success for himself meant success for everyone around him, and was known for his extensive charity work. His contributions to the art world, and to Australians in need, saw him awarded status as a Member of the Order of the British Empire, as an honorary life member of Society International Martinique, as well as Australian Citizen of the Year. Since passing, Pro’s art has only increased in popularity and made its way into the private collections of the average Australian, as well as collections around the globe. 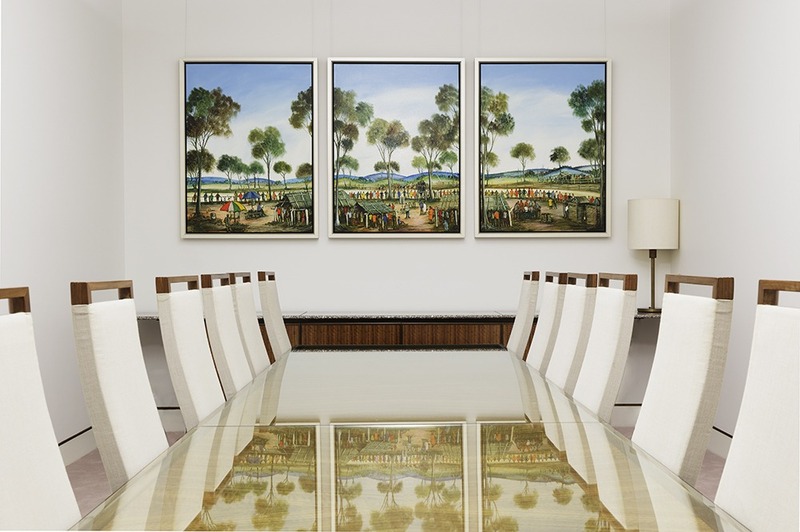 Many collectors are putting a Pro Hart on the wall for the sake of investment; Australian Art Sales Digest has been showing a pattern of increase with auction prices rising by 24% in the last year alone. It’s encouraging to see such a powerful heritage from an iconic Australian making its way into important collections across the country, including Australia’s Parliament House and The Bond University. Pro Hart believed that art should strike a chord with the everyday Australian; or, as Pro would often say, ‘the bloke down the street’. 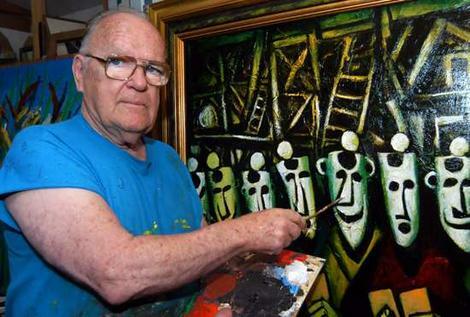 His comical outlook and ability to illustrate Australian life formed a powerful connection between his audience and his subject matter. Now thirteen years since his passing the impact of Pro Hart’s work is no less powerful as his imagery and unique style continue to connect with both the everyday Australian and collectors alike.